Skylar Diggins' book, on sale July 1, focuses on her defining childhood stories and lessons about growing up in a diverse middle-class family. 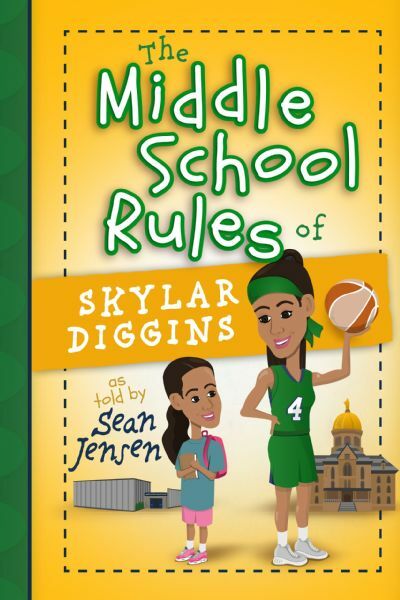 Excerpted from The Middle School Rules of Skylar Diggins as told to Sean Jensen. Copyright © 2016. Published by BroadStreet Publishing. Used by permission. When Skylar is 11, the Lady Soldiers cruise to their region and state AAU titles. They qualify for the national tournament! After another successful fundraiser, the girls want to enjoy one of the most fun cities in the world for kids: Orlando, Florida. That's even more special for Skylar because Orlando is only 90 minutes from Tampa, where Daddy and her brothers live! The day before the Lady Soldiers' first game, some of the girls and their families go to a beach about an hour away. Some head to Disney World. Others shop at a big mall. Skylar has dinner and watches a movie with Daddy and her brothers who are excited about attending her games. An hour before tip-off of the first game, Daddymoe does not sense the usual excitement from his players. Several Lady Soldiers yawn and lay around the locker room. 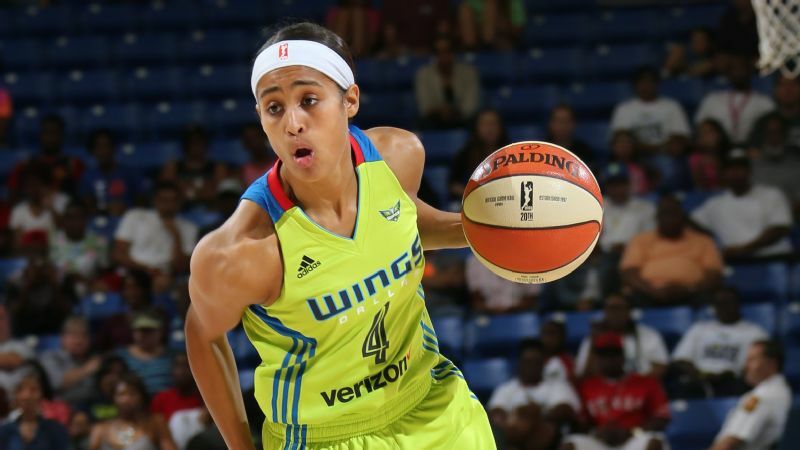 Skylar Diggins' book details how she dealt with bullying, struggled to fit in at school, and figured out how to excel in basketball despite never being the tallest, strongest or fastest player. "All right, Family," Shalana says. "Win on 3." "1 ... 2 ... 3 ... Win." The cheer lacks its usual gusto. When they walk on the court, though, the Lady Soldiers marvel at the stands. They see a sea of fans wearing red shirts featuring the same logo as the jerseys of their opponent. They are from Louisville, and their fans stomp and sing loudly. "Who rocks this house?" one father yells. "The Cardinals rock this house!" dozens of others scream. They do this over and over. The Lady Soldiers do not start well, and they do not rally. The Cardinals steamroll them, 62-40. In the locker room, Daddymoe is usually positive and upbeat, even when they lose. But today he is upset -- and he sends them a strong message. "I know Orlando has beaches, theme parks, and malls," he says quietly, "and those things are a lot of fun. But we came here to play basketball! If we lose tomorrow, we're going home." The girls all lock their eyes on Daddymoe. The way the national tournament is set up means a team could lose a few games and still advance to the championship. But Daddymoe makes clear another poor performance will mean a quick trip home. "We are not going to waste your family's hard-earned money," Daddymoe says. "Tune out the distractions and focus on the number one goal of this trip." The girls accept the message. Instead of going to a team dinner at a theme park, they decide to eat next to their hotel and rest in their rooms. When he does bed checks, Daddymoe notices Skylar intently watching the television. When he steps into the room, Daddymoe also sees her scribbling down notes. "What are you doing, Skylar?" he asks. "Oh, I'm watching the tape of our game," she says. Skylar continues her film study. She replays the moves of her opponent, a taller but faster guard, over and over and over again. She looks for clues in the tape to see why her opponent scored on her with nifty post moves near the basket. Skylar searches for tips on why she misses three layups. She discovers that the Cardinal guard would stick her hands in Skylar's face when she leaps toward the rim. "Since she is bigger, what can I do to create more space between us?" Skylar asks herself. Daddymoe smiles, stands, and heads for the door. "How long have you been watching tape?" he asks Skylar before leaving. "About an hour," Skylar says, "but I only have 20 more minutes, then I'll go to bed." Skylar learns some things she can do better the next time she plays against a taller and faster opponent. But she wishes she were home, so she could head to her backyard court to practice before bed. Their hotel, unfortunately, does not have a basket. At the next game, the Lady Soldiers regain their confidence and their energy. They blow out a team from Dallas, and they convincingly defeat each opponent until they reach the championship game. Though Skylar scores 29 points, the Lady Soldiers lose by eight points to a team from Atlanta. At the medal ceremony, each of the Lady Soldiers graciously accepts their hammer-sized, second-place trophies. They are proud of how much they have improved in a year. They want the three-tiered championship trophy, which must be handled with both hands. "That would look really sweet at the King Center," Skylar whispers to Emily. Daddy, Shay, Dezz, and Tayta walk from the stands to the court, where they hug Skylar. "Great job, Skylar," Daddy says. "You were amazing!" The Lady Soldiers return to the King Center and keep practicing and playing against boys their age and even men. Ashley grows stronger and stronger, both physically and mentally. Em develops a reliable jump shot, and Skylar finishes better around the hoop. The Lady Soldiers lose a lot of practice games to the boys and men. But they keep growing individually and collectively and push for the next win. The Lady Soldiers put everything together, and they start to dominate opponents on the court. At the next AAU National Championship, Skylar leads the way, as the Soldiers win the title, defeating every team, including the one from Atlanta that beat them the previous year. The Lady Soldiers' family-first approach and their years of hard work pay off.